This is a German leather first aid pouch with some contents. The back has stamps for the SS, Sz and Leo Benz.. The contents are bandages and plaster. There is service wear and some field repairs to the case. The case measures 8 1/2" x 4 1/2"
Wehrmacht Heer (Army) NCO’s breast eagle; constructed of fine silver aluminum wires in near mint un-issued condition. Measures 4 3/4" x 2"
Measures 4 1/8" x 1 3/4"
All complete no moth or holes in good condition. 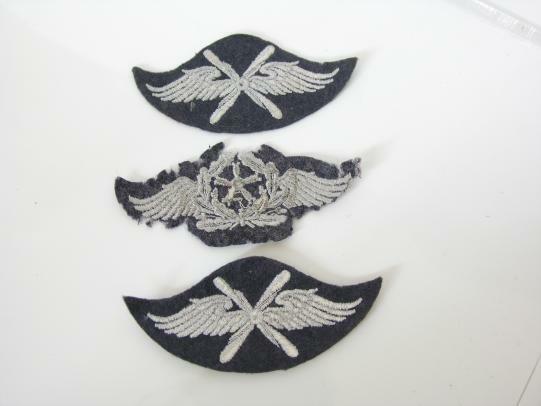 Maker marked and labeled "Kauer Fahnerfabric (Bremen) U-Boot Abt Nord See"
Three Luftwaffe Techical Trade Cloth Badges. 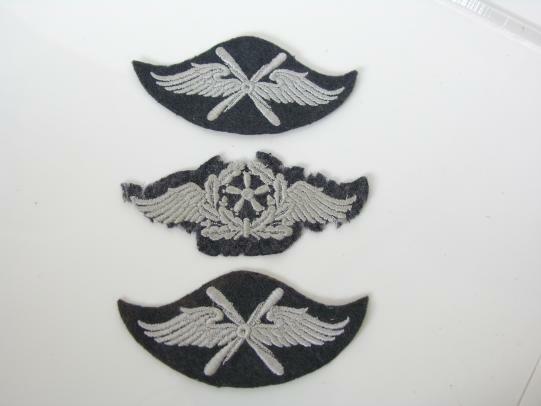 2 Flying Technical Trade Sleeve badges in cloth in near mint condition. Also 1 Technical Staff Sleeve badge in cloth, used and some mothing on the edges please see images. Here is an original 1st Class Iron Cross, maker marked 4 on the pin Steinhauser & Luck of Ludensched. Comes with WW1 Prussian veterans ribbon. 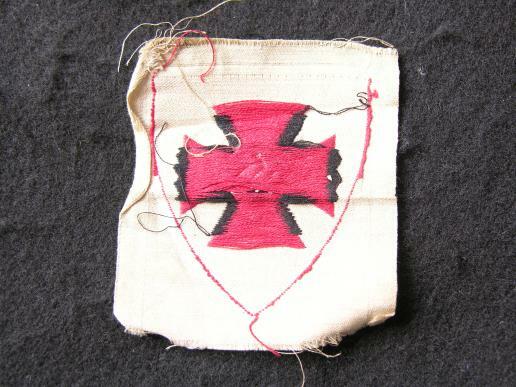 The Cross is in good condition with original pin. A Spannish Wound Badge in an LDO Box, some service wear and age to the badge and box. A good period 1st Class Iron Cross in a private purchase box, some service wear to the cross and box, not maker marked, please see images. This Veteran's Association Sleeve Shield is a BeVo weave on a white silk background. A little grubby, colours remain bright. 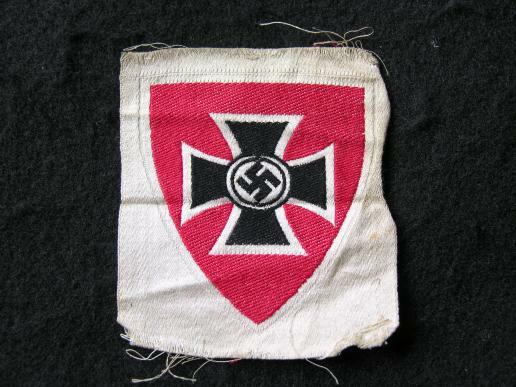 A Kreigsmarine Dog Tag for 1944. The condition is as shown in the images and looks like it has been on a fire of some sort. Measures 2" x 1 1/4"